An independent boutique investment company, BRM Capital takes pride in their ability to navigate through both good and bad market conditions. Tasked with creating their brand identity, we drew inspiration from the idea of 'navigation' to create a logo that resembles pathways and brand graphics that are reminiscent of stock market charts. 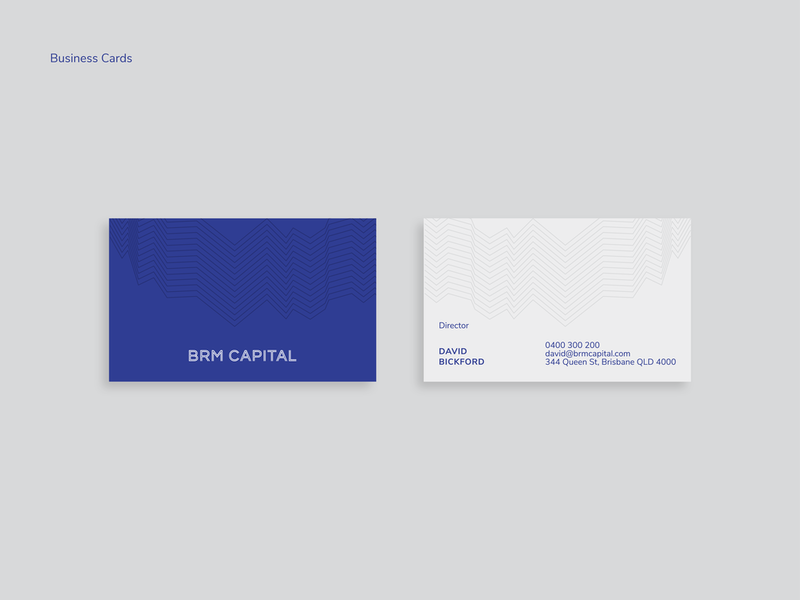 The overall brand identity is modern yet approachable.